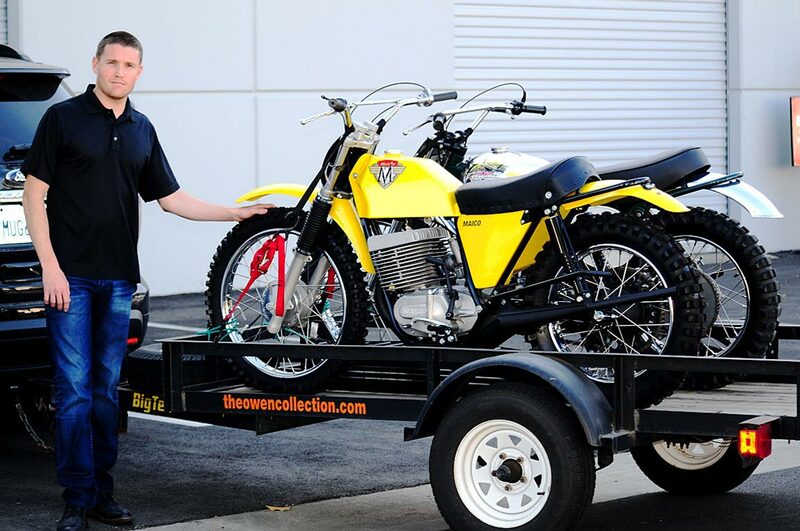 What sounded like a great idea, just didn’t pan out. 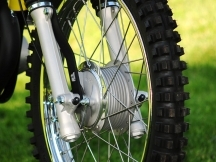 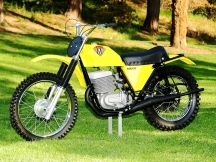 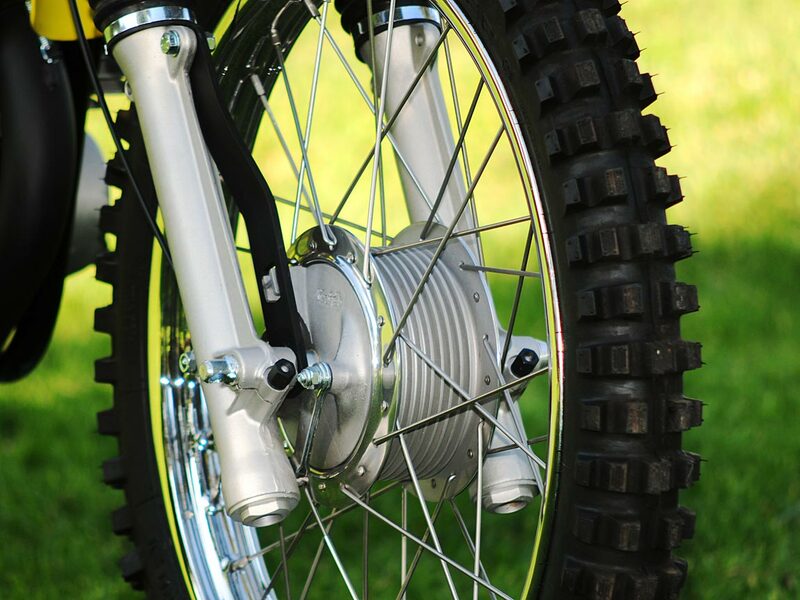 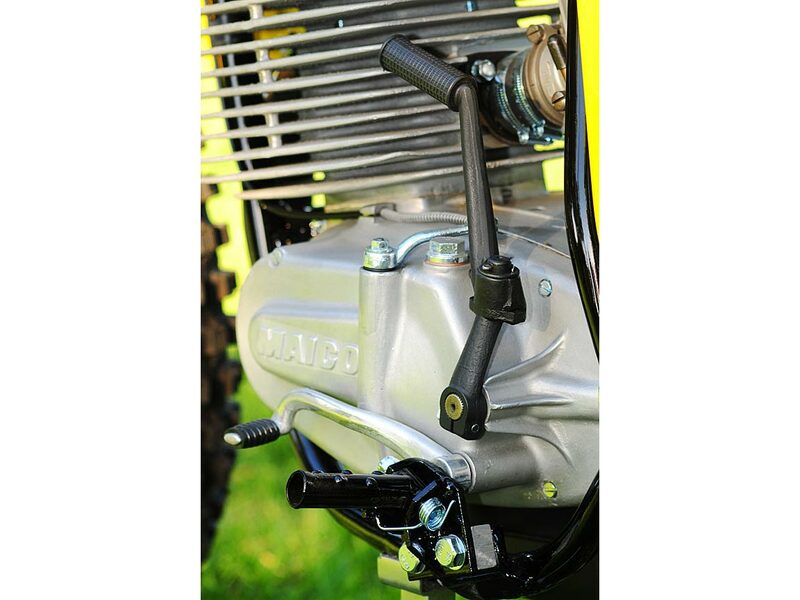 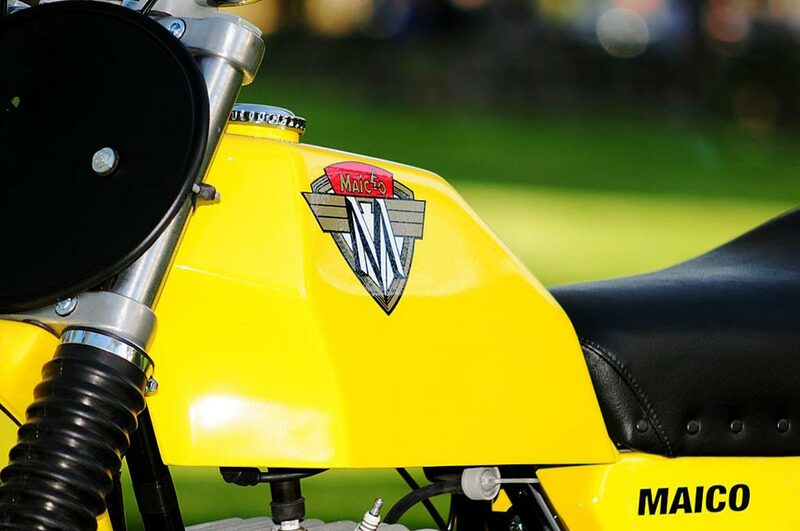 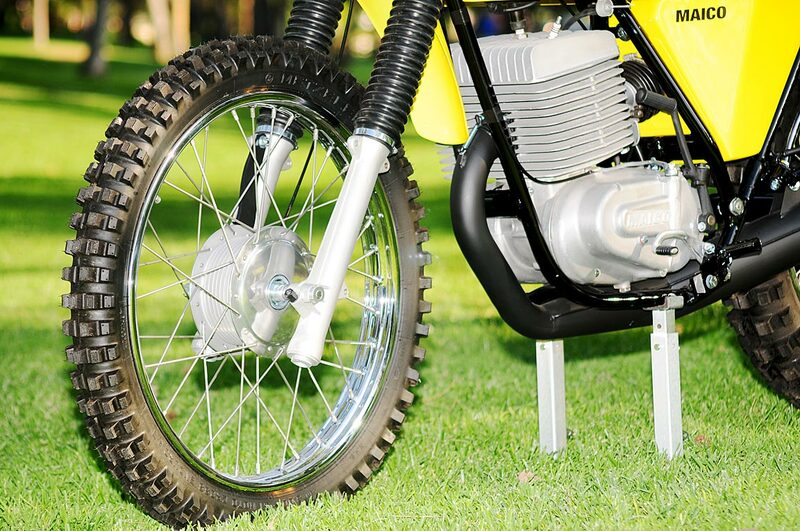 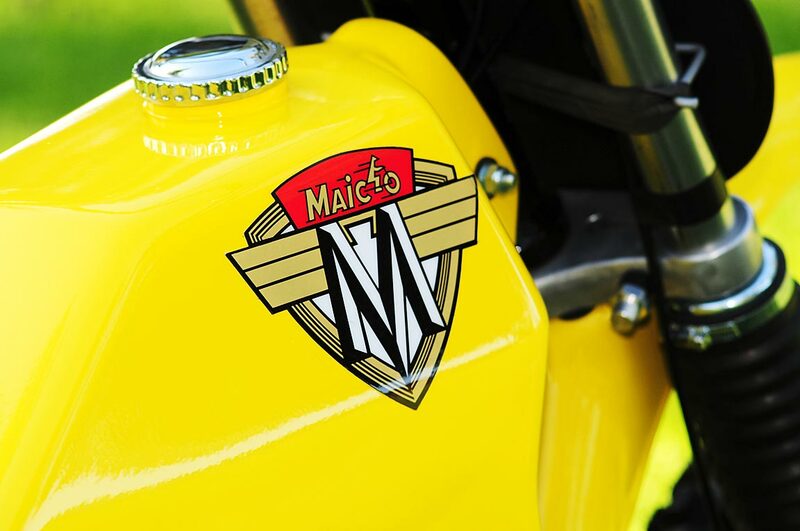 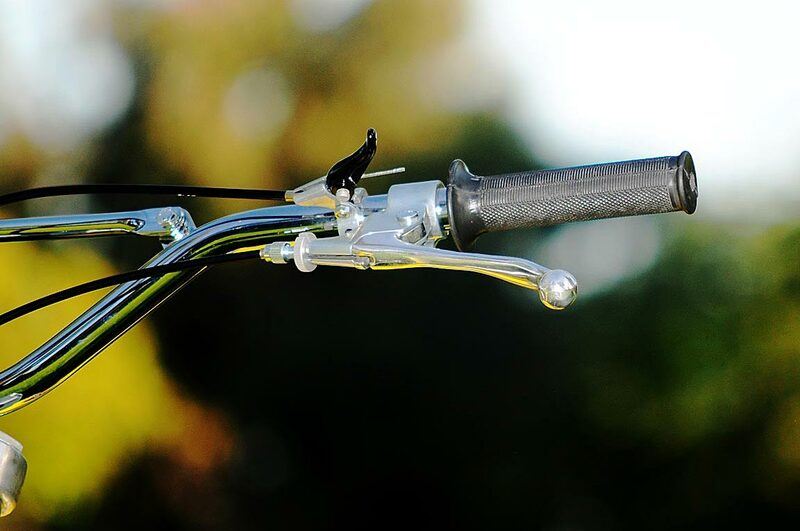 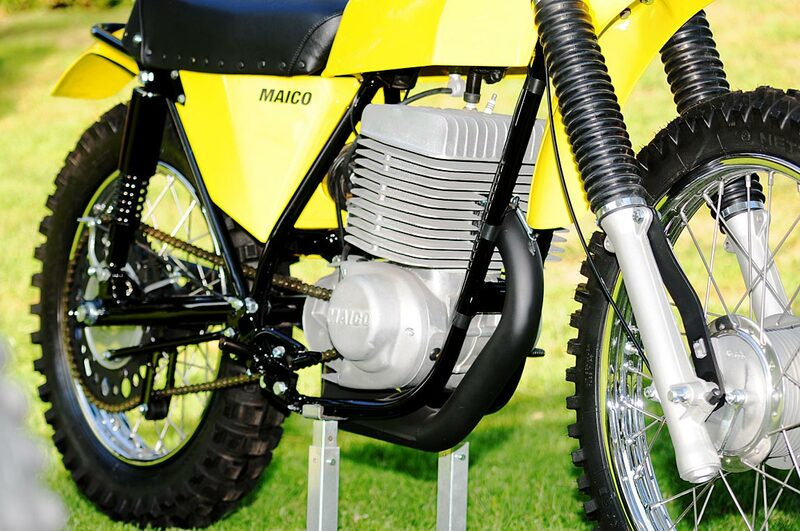 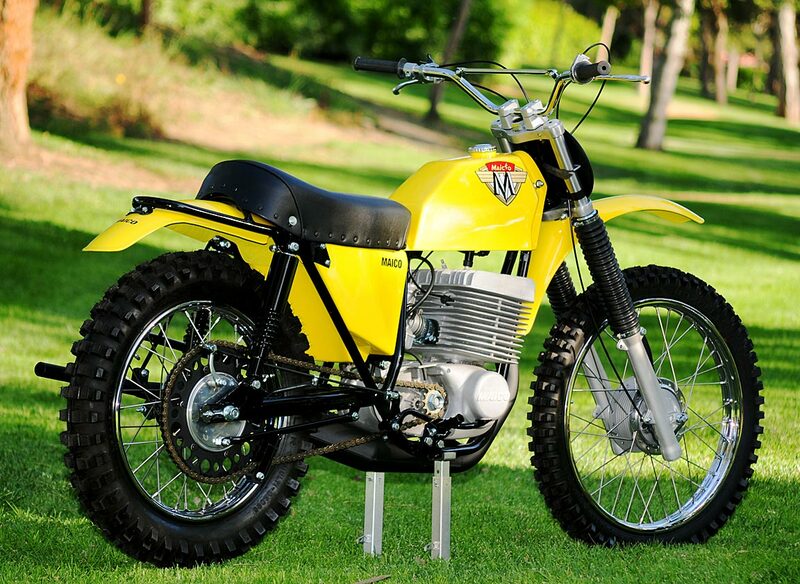 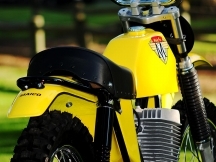 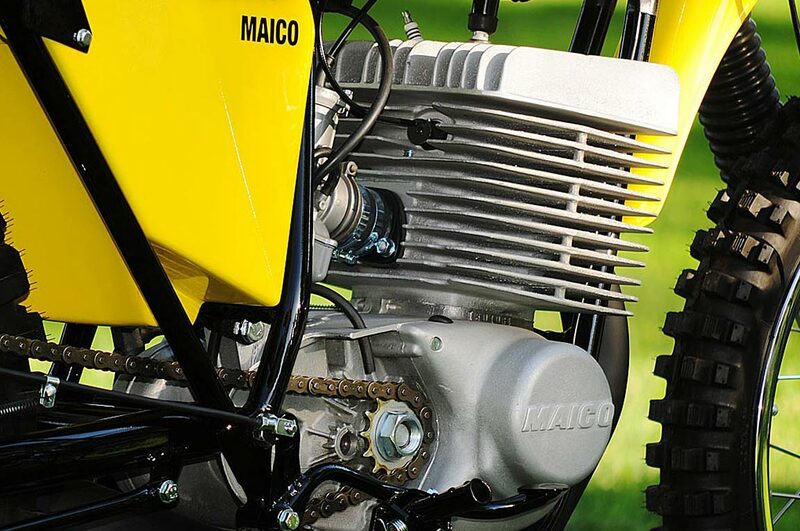 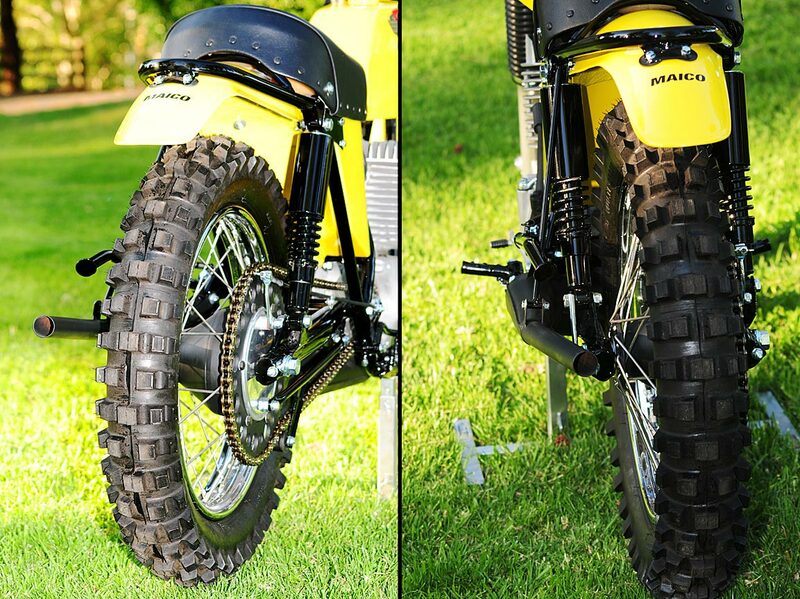 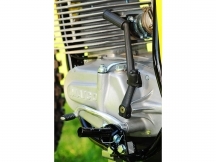 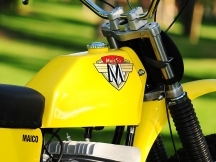 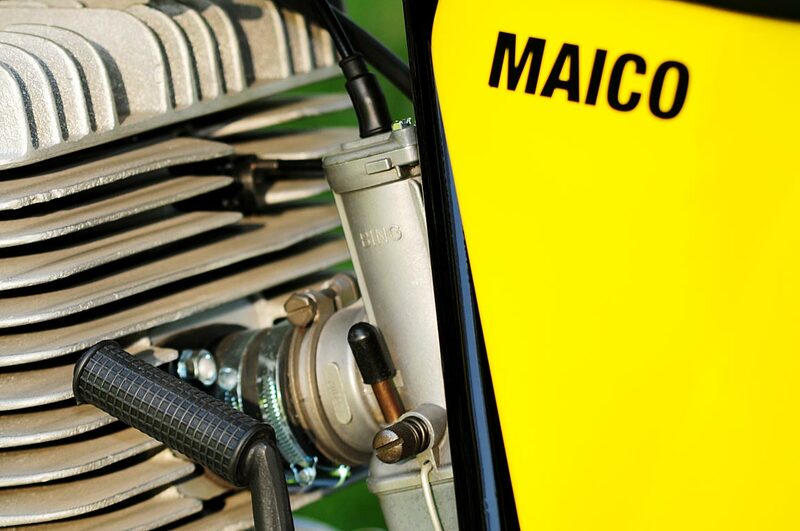 By 1971 Maico had many accomplishments in the big bore classes and was beginning to really sell well in the U.S.A. World Class riders, who were recognizing the remarkable handling and power of the 360 and 400 Maicos, so it only made sense to build the largest 2 – stroke motor on the market. Unfortunately, the 501’s were heavier, a handful to ride, and simply did not deliver the power to the ground in a tractable manner. 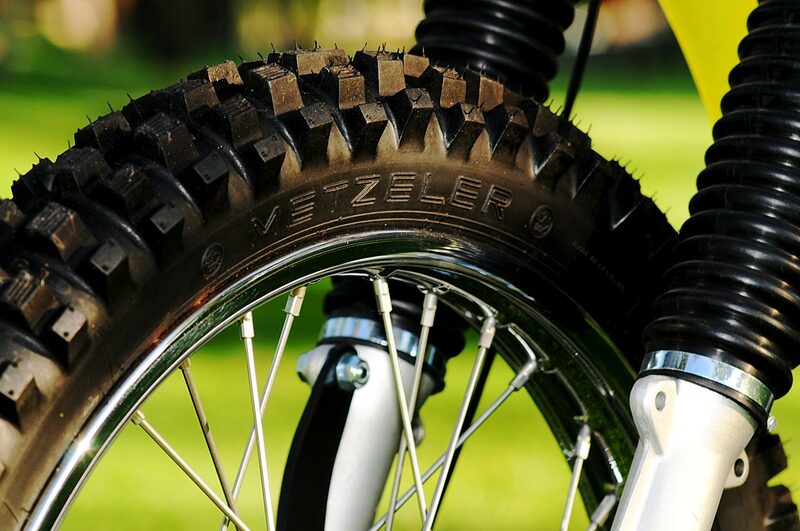 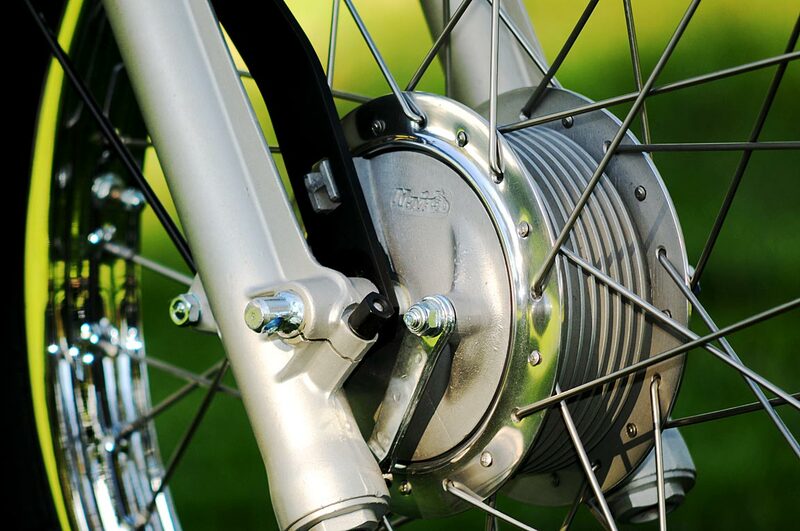 The 400 had just as much “usable” power and was much easier to ride. 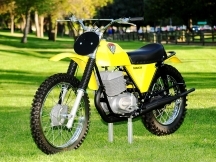 The magazines all reported that the 501 was fantastic in every way, but people who actually rode them just couldn’t win. 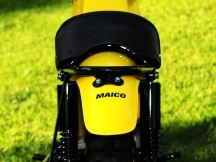 This is Maico frame #501 061 with motor #T501 064, it was common to have 2 or 3 numbers between the two as they left the factory. 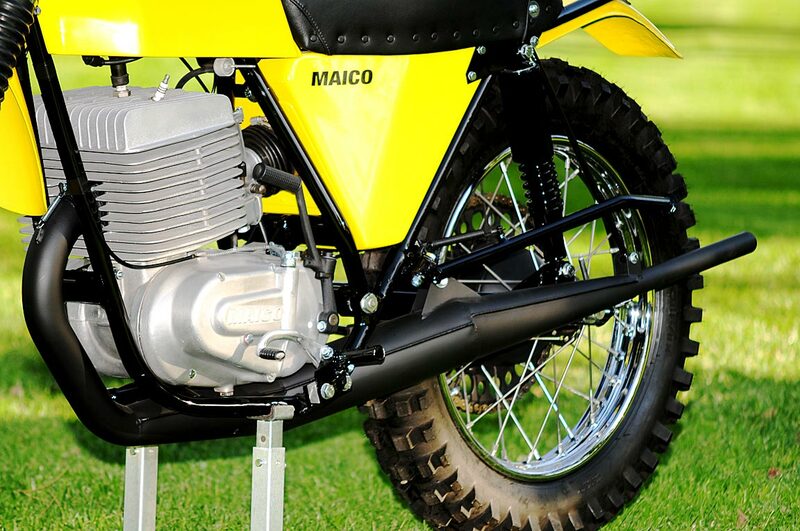 The piston looks like a Folger’s coffee can and I am sure no 150 pound rider could kick this beast over.